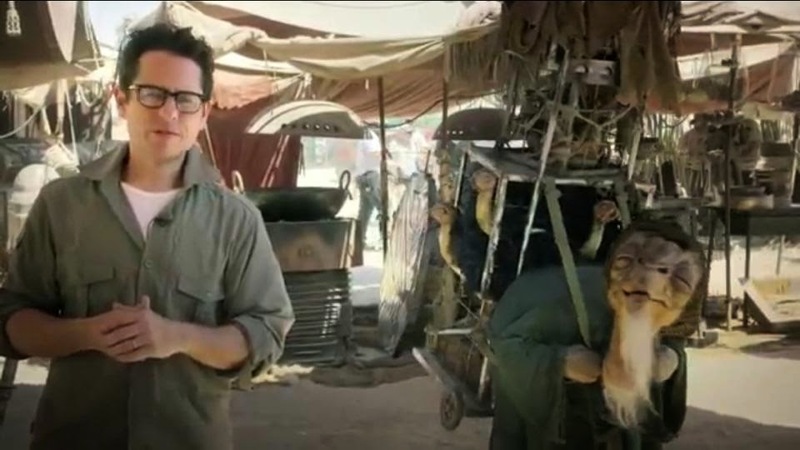 J.J. Abrams is currenly in Abu Dhabi for the shooting of Star Wars Episode VII, which just began a few days ago. However, Abrams is not the only one to make an appearance-as an upcoming alien (which will probably be a mere background character) walks into view, showing that puppets and live action creatures will be primarily used for the film, as opposed to strictly CGI. In the video, Abrams announces "Force For Change", a brand new initiative dedicated to finding creative solutions to some of the world’s biggest problems. The first Star Wars: Force for Change campaign will raise funds and awareness for UNICEF’s Innovation Labs and its innovative projects benefitting children in need. By contributing to a small donation, you (yes, you reading this) will have the opportunity to have a part in the upcoming film. Be sure to check out www.Omaze.com/StarWars to do your part to help someone in need and be a part of history.